The Place to Be on Game Day! 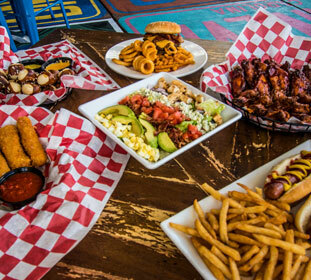 Head over to All American Pub for classic American bar food….wraps, wings, sandwiches, burgers and more! 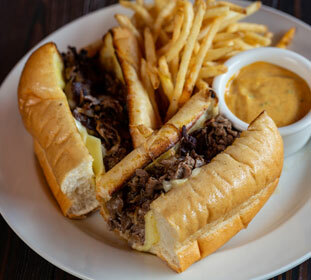 If you’re hungry for a great deal, come to All American Pub for our daily specials. Join us every Tuesday at 8pm for Music Bingo. Experience Casual Dining at it’s best! 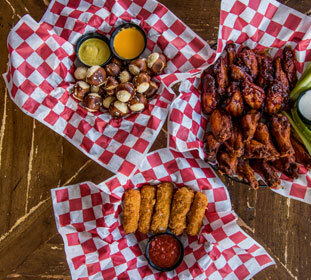 All American Pub located in Charlotte’s Historic South End District, has become Charlotte’s preeminent sports bar. 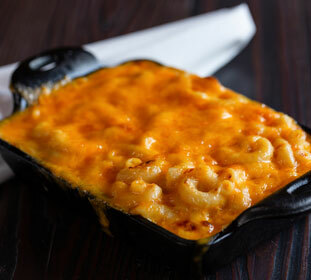 No trip to the Pub is complete without sampling our delectable American cuisine. The pub is open for lunch, dinner, and late night everyday and features on of the area’s best Sunday Brunch, complete with a Bloody Mary Bar. If you want to experience sports in the Carolina’s, All American Pub is the place to be! What we do best…see for yourself! Come and unwind with a pint of one our local, imported or domestic brews and catch your favorite team on one of our 45 HD television screens. © 2019 All American Pub • BOTTLE CAP GROUP. Check out all the restaurants in the Bottle Cap Group family.